This photograph was taken on the second morning of our backpacking trip (Day 4: August 15). 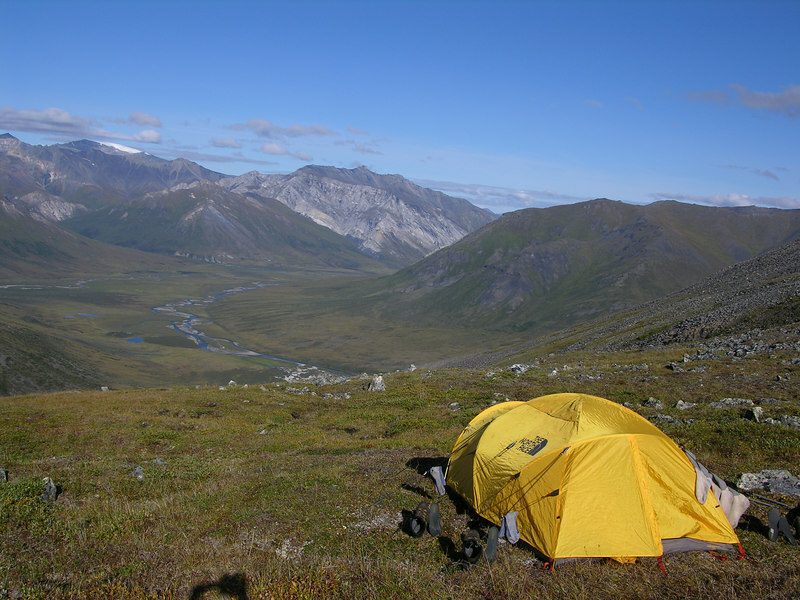 We pitched our tent high on the eastern ridge of Tupik valley as we planned to leave this basecamp set up and go for a day hike to gain a better view of Igikpak. The light band of rock in the distance is the limestone that we had visited two days before.